Coenzyme B-Complex is a whole-food complexed Vitamin B for energy, stress, and nervous system support. This bioavailable supplement can be taken on an empty stomach. 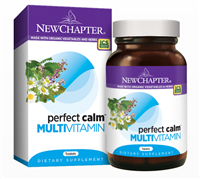 Supports your immune system and aids in alertness, focus, attention span, and short-term memory. Supports your mental health and well-being with Rhodiola rosea – supporting your stamina and endurance during periods of increased stress and sleep disruption. This product is not intended to diagnose, treat, cure or prevent any disease; the law applicable to dietary supplements, the Dietary Supplement Health and Education Act of 1994, commonly referred to as DSHEA, does not permit us to do so and it is not our intention to do so. The Contraindications and Potential Drug Interactions information provided on this website is not intended to be all-inclusive. Keep your healthcare provider informed about any herbal and other dietary supplement products that you are taking. Premium organic Eleuthero is used in this product. This product is not intended to diagnose, treat, cure or prevent any disease; the law applicable to dietary supplements, the Dietary Supplement Health and Education Act of 1994, commonly referred to as DSHEA, does not permit us to do so and it is not our intention to do so. The Contraindications and Potential Drug Interactions information provided on this website is not intended to be all-inclusive. Keep your healthcare provider informed about any herbal and other dietary supplement products that you are taking. Maca has been cultivated since pre-Incan times. This nutritious root is prized by indigenous peoples for its health-giving properties. It is an adaptogen, a substance which helps to promote endurance and vitality.